Manchester United, during their 1-0 home defeat to Barcelona in the Champions League, were forced to field a midfield trio of Fred, Scott McTominay, and Paul Pogba. The move was necessitated due to Ander Herrera and Nemanja Matic being injured, a huge chunk of experience being deprived from the starting lineup. However, come summer, Ole Gunnar Solskjaer may have to worry about more than just injury handicapping his roster. United have reportedly decided to not renew Ander Herrera’s contract, his requested wages rendered too much for his age. As a result, the Norwegian gaffer may have to search deep in the transfer window for a midfield maestro. Now, the Evening Standard reports that Idrissa Gueye is the midfielder that tops United’s wishlist. 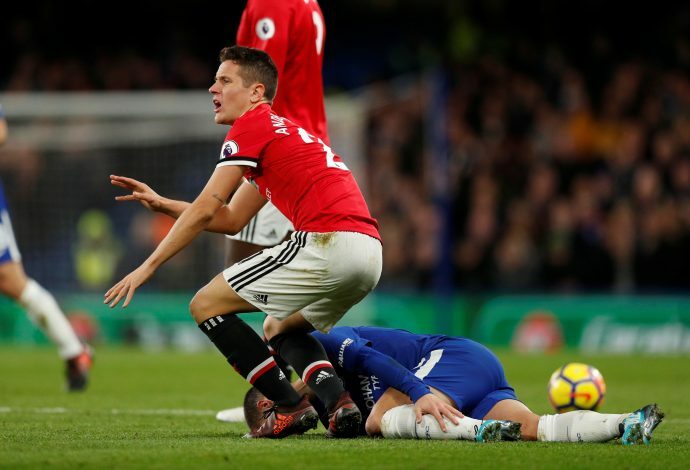 The Everton player was initially targeted by PSG, but now, the likelihood that Herrera will make the switch to France may open up that avenue for the Red Devils. This could be a great deal for the Old Trafford outfit, as the Senegalese international is said to be available for less than £30 million. This could be a bargain deal for a 29-year-old whose experience in the Premier League is proven. At the same time, it will be hard to fully replace the Spaniard, whose creativity at the heart of United’s midfield has proven crucial across the years. It was initially thought that the English giants wouldn’t hesitate to hand him an extension, but apparently, his requested package worth £200,000-a-week cannot be justified. It will be vital for Solskjaer to stamp his authority well. For that to happen, United must play it smart and not simply splash money for big players who may become available. The club has to challenge both domestically and in Europe from next season onwards, and they certainly need to one-up several regions in their team.